Hard to believe it’s already August and the 2016 season is going strong! Cape Naden continues to be a steady producer of Chinook and has shown to hold some Tyees on every trip. 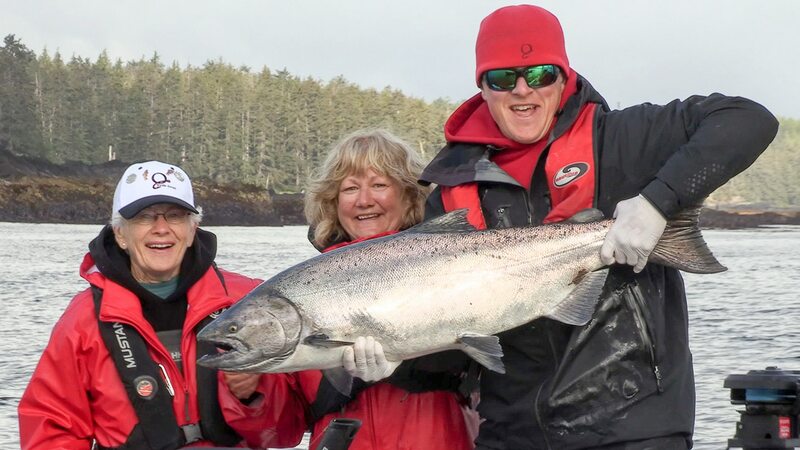 Jeanne D, “fishing Grandma,” was absolutely thrilled to be back to QCL with her family but even more thrilled to have released a 34 lb Chinook on the first day. Well done Fishing Grandma! Then on Tuesday she shared the thrill when her daughter-in-law Terry also released a 34 of her own! Kudos to QCL guide Jackson Jane with his awesome C&R skills! 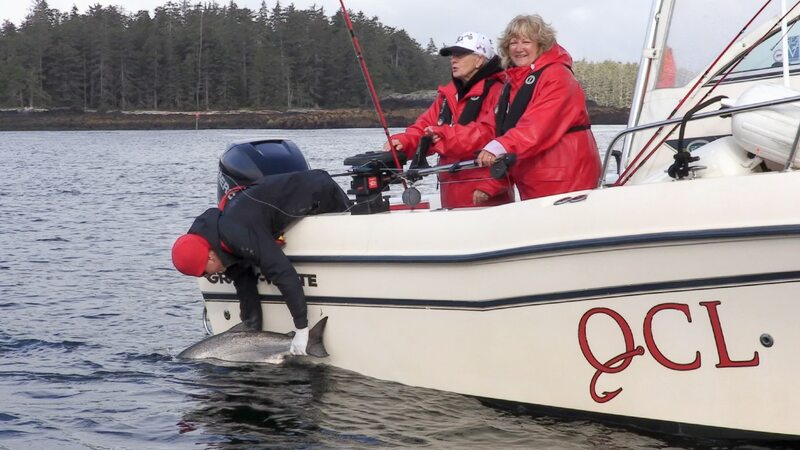 On the 99 with Robbie C, Bill M returned the fish of a lifetime to the water after landing an amazing 63 pound Tyee at Cape Naden on Tuesday. That’s an incredible catch Bill! And thanks for sending her back! Congratulations! Among a number of flashy Tyees caught last week were a pair of 37’s that were released as well – by Claude B and Chris L – Well done guys! We’re seeing greater numbers of Chinooks overall these days and the average size has bumped up measurably too. Several of those 40-plus beauties came to the boat last week with a number of them carefully turned back. 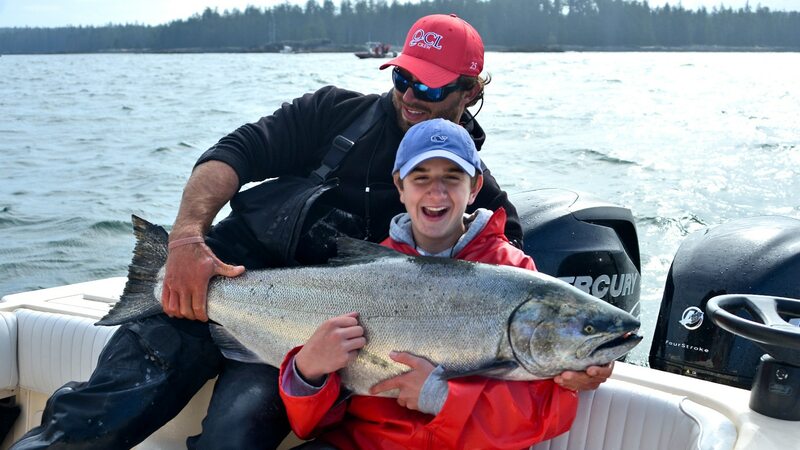 On his first visit to QCL, 14-year-old Carson B tangled with a huge Chinook that gave him quite a tussle but he played it perfectly and his guide Ryan Winger was able to release it easily after taping it out to 48 pounds! What a start to your salmon fishing habit Carson! Great job! Although we’ve had moderate northwesterly winds for over a week now, many guests have been able to go out and haul up some great halibut catches. Last weekend Rob C released a huge, human-sized halibut that taped out to 210 lbs with the assistance of veteran QCL guide Oliver Massey. His arms may still be tired from that one! Myles and Reid F have been coming up to QCL before they could even walk but they teamed up to land their largest halibut last week, a chunky 101 pounder! Well done boys! Dad’s proud! 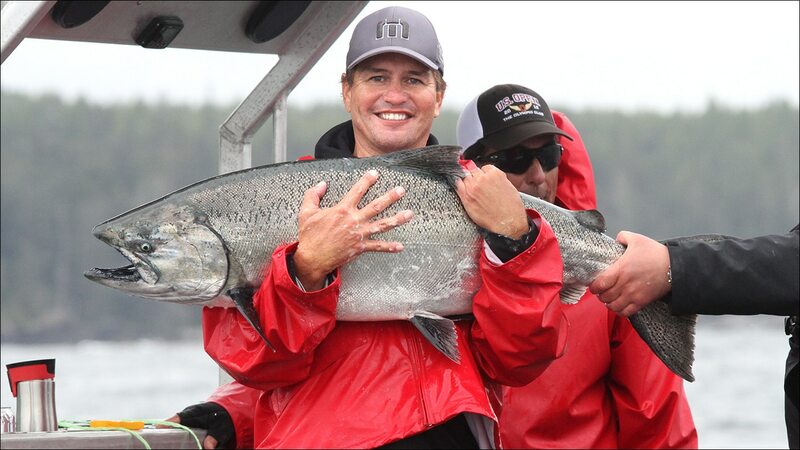 Casey P released a 146 pounder, Alan D a 121, John F a 101 and Mike S turned back a 148-pound giant! 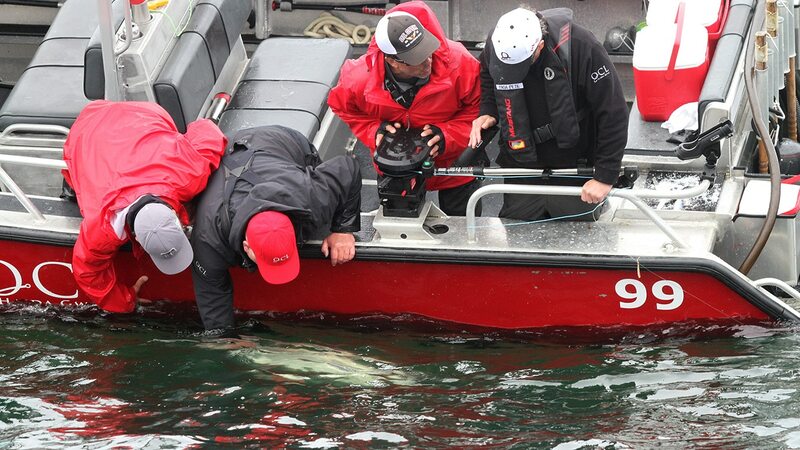 It’s sure exciting to see a huge halibut beside the boat but it’s even better if you’ve got a nice keeper in the box! Fortunately there seems to be no shortage of nice chickens & turkeys in the 15 to 50 pound class! Quite a few of the guides have been exploring new bottom fishing spots this season and it looks like it’s paying off!